The origins of Jarun date back to 2008, when guitarist Zagreus began experimenting with his solo project, aimed to combine folk music with black metal. Initially, his compositions were very much inspired by the broadly defined folk music and created using traditional, folk instruments, but with time these elements have been very much limited. After some time, the formula of the solo project began to seem insufficient and the idea of inviting additional musicians appeared. At the end of 2010 the first Jarun lineup was formed. Zagreus was joined by Rolsen (guitars), Meph (vocals) (ex-Formosus, ex-Ceremony) and finally Radoslav on drums (Pneumatic Frost). After a period of intensive rehearsals the band entered the NS studio in Nowy Sącz to record their debut album. The recording process was quite long and arduous, but the final result proved to be extremely rewarding. Mateusz “Mateo” Kotkowski from the local rock band Emergency Pilots, took part in the recording session as a guest bassist. In February 2012 the band lineup was finally completed when Radogost joined in as a permanent bassist. The debut album, entitled “Wziemiozstąpienie”, consisting mainly of material originating from the times of Zagreus’ solo activities, was released officially on 28th September 2012. The album almost immediately gained the favour of the audience and received great reviews. In December 2013 the band parted ways with their drummer Radoslav. His place shortly afterwards was taken by Marcin “Pazuzu” Pazera (ex – Formosus). With the new line-up, Jarun started recording another material. Album entitled „Pod niebem utkanym z popiołu” (“Under the Sky Woven from the Ashes”), published in cooperation with Unquiet Rec. had its premiere in May 2015. The album showed a slightly altered face of the band. As this time almost all of its members took part in the creative process, the material became much more complex and mature. In spite of considerable stylistic changes, the new album still contained the genuine atmosphere present on the “Wziemiozstąpienie”. In 2017, the band finished working on their third album entitled “Sporysz” (“Ergot”). The material was released on 22nd December by Arachnophobia Records. The album is another milestone in the band’s musical development. It is not only a reflection of the constant evolution of their style, but also of another line-up changes that have occurred in the band recently. Meph’s place was taken over by a talented, young vocalist – Mateusz Kujawa, and Krzysztof “Gambit” Stanisz replaced Rolsen as the second guitarist. 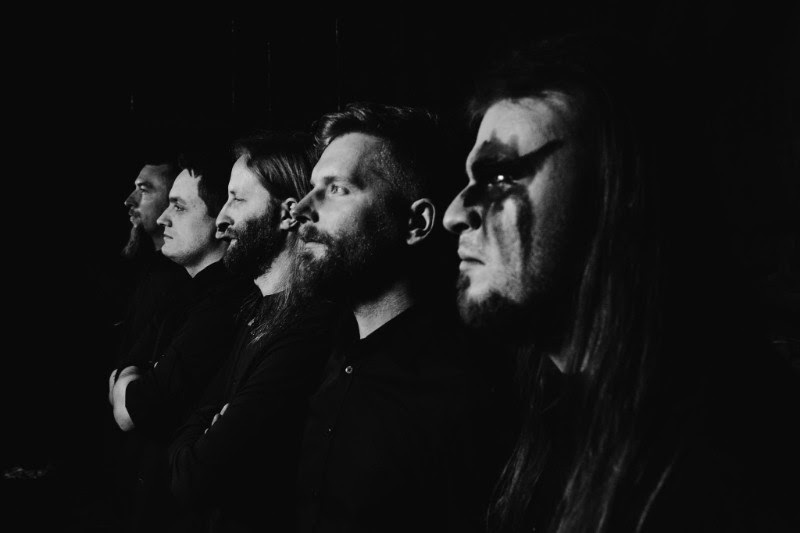 The new album includes even more original and unusual compositions – music much more strongly embedded in a progressive / alternative style, but not without the old black metal or folk elements that are the band’s trademark since the very beginning.